I like cauliflower but rarely buy it cause I hate cutting it up, same as broccoli, weird, right?! I must try this recipe though! I agree, it is the little things and that form on your am coffee makes it so much better 🙂 Love my foam too. i’m not sure whether or not your grocery store sells them, but eat smart makes packets of pre-chopped cauliflower and broccoli! they’re often BOGO at the publix near me! Such a simple post and yet I love everything about it! I love roasted cauliflower but it’s been way too long since I’ve had them. And since I love ginger I’m all over this. Almond butter pancakes – SOOOO good. 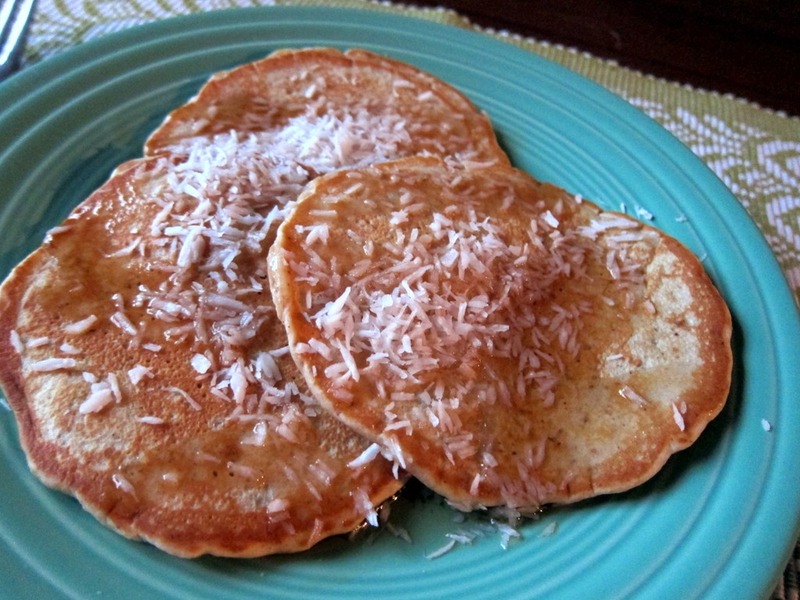 I also use coconut flour and oat flour (steel cut oats ground into a flour). 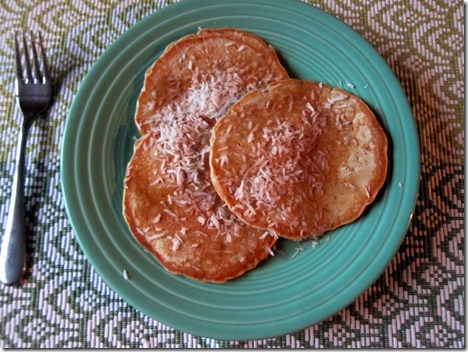 Pancakes every weekend! Frothy milk – YES PLEASE! I just bought my bf a milk frother and you better believe I’ve become a milk frothing fiend. Curry cauliflowerk? Sounds amazing! I often roast mine with feta cheese powder from the Winter Park Tea and Spice exchange. oh man! feta cheese powder!? i’ve never heard of it. sounds amazing! Coat the Cauliflower in olive oil, sprinkle on as much cheese as you’d like, and bake as normal! I also do this with Broccoli and Cheddar cheese powder. Add a little of their Sunshine seasoning for an extra flavor kick too! I like cauliflower, but the boyfriend is not a fan so I rarely buy it. I’m thinking that I’ll have to try this recipe to try to turn him onto it a little bit! This looks sooo good! Definitely going to try to the cauliflower! 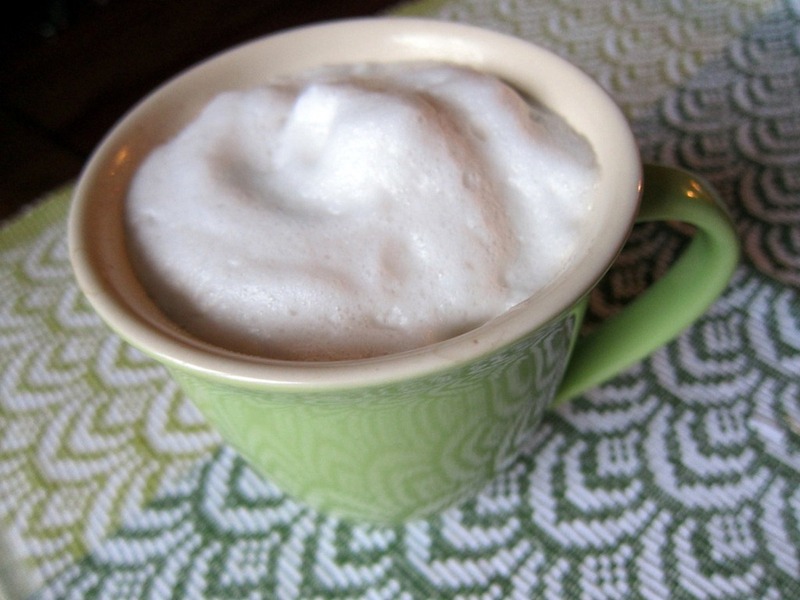 Foam really does amp up a cup of coffee! Looks yummy! I can’t get into cauliflower but think this would taste equally delicious on broccoli!! Ugh foam is so wonderful especially from Starbucks, they know how to do it! 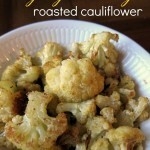 I love cauliflower almost any way that it is prepared, yum! I love foam in my coffee too, too bad I never make it that way though! This looks delish! I just started roasting veggies instead of steaming them. The flavor is so much better and love the crunch. I’m going to have to try curry! Mm that cauliflower sounds delicious! I love roasted cauliflower!! THANK YOU for not one, but TWO recipes in this post 🙂 i really enjoy your recipes because they are no frill, and seem easy! Thanks for sharing!! I am adding cauliflower to my grocery list immediately! And I LOVE spicy buffalo chicken–perfect for NFL weekend! Thanks for the recipes! Definitely going to try that cauliflower recipe…thanks for sharing! Cauliflower is one of my favorite vegetables. cutting cauliflower is a pain but i use my ceramic knife and itz totally no big deal! i would highly recommend investing in one if you don’t already have one! 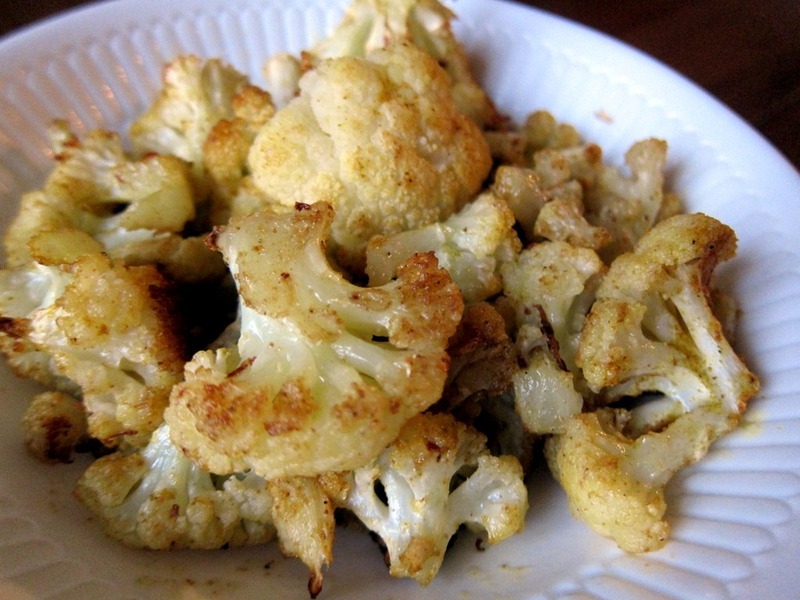 the ginger curry flavors sound amazing with roasted cauliflower! I sometimes wonder if your recipe measurements are correct or you just dont like spice…1/4 of a teaspoon of something???? thats like nothing..like a few gains of whatever spice you use. is that correct? Wow, this cauliflower looks amazing! I love making curry cauliflower, but I’ve never thought to add ginger before! I think I might have to try it and see if I can actually convince my meat-and-potatoes husband to try some! Also, I’m right there with you on the frother. Who needs Starbucks?! Those pancakes look awesome Julie!! Also, Julie, I sent you an email a few weeks ago about a giveaway I’d like to send in. I have been anxiously awaiting a reply back and I just wanted to let you know- maybe it went in your spam or something. I also recently sent it to your fb account just in case 🙂 Thanks! I’m not a big cauliflower fan, unless it is in curries, stews, soups etc, but this looks yum. Yum! I have this simple garlic cauliflower that we make that always makes the meal. I think the simple things (like foam) are the best! Happy Friday! I’ve never tried cooked cauliflower before! Can you believe it? I hate the texture of it raw so I’ve never felt compelled to buy it at the store. I wonder if this recipe could change my cauliflower-phobia :). 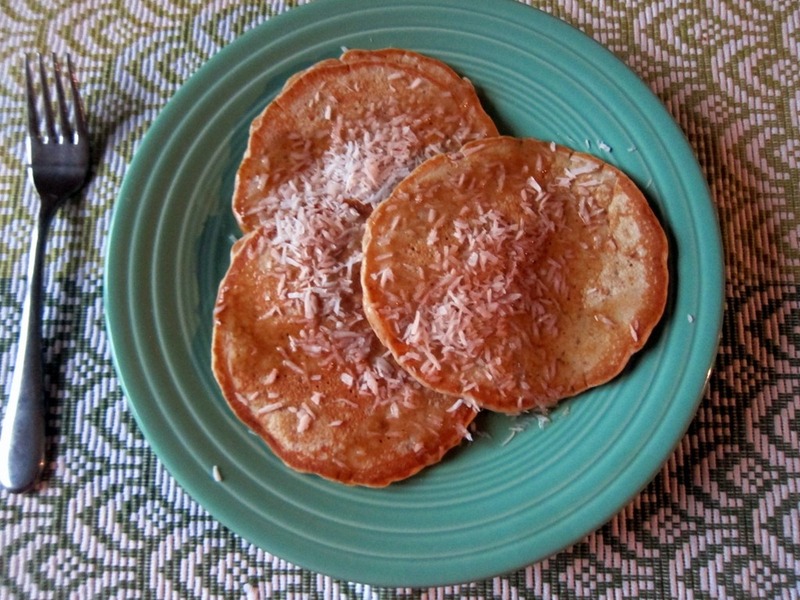 I love the simple ingredients – this sounds amazing Julie! I never think to use ginger when cooking but I should, it always makes it better! I definitely want to get one of those frothers! I love me some foam in my coffee cup. I would totally feel fancy too! This looks awesome! I was literally just answering a reader question from my blog, and mentioned how great cauliflower is as a side dish! I think you can actually order a fully foamed drink at Starbucks ! I’ve seen someone do it… but it gets all over your lips upon first sip ! Now I really feel the need to go buy some cauliflower! I have every ingredient but the main one, naturally 🙂 I love how this gets a serving of veggies in with lots of flavor. Great recipe! Looks delicious! I’ll definitely be trying out this recipe this weekend! Hope you’re having a great Friday! I always have pancakes on Sunday, but you got me in the mood for them already! Ooooooooh yum on the cauliflower! I’ve just started using cauliflower more, since discovering that mashing it up with Kerrygold garlic butter is as good (and healthier – yay!) as mashed potatoes. Totally giving your recipe a whirl this weekend!!! This recipe looks good! I am generally not a fan of cauliflower on its own, but when it is roasted, mixed with other ingredients, or is seasoned well it is SO good! I will have to try out that cauliflower recipe. I need more vegetables in my life. 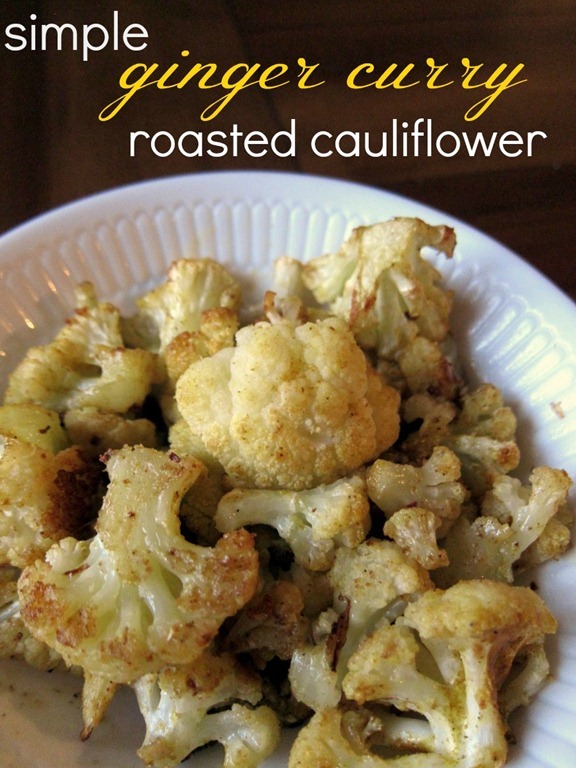 My husband loves cauliflower, so I must get on this! I used to be a barista at a local coffee shop and people order “dry” cappuccinos all the time… 9:1 ratio of foam to espresso. That milk frother sounds like a winner! Mine from World Market broke on me 🙁 But it WAS only like, $3 lol. And I love veggies like cauli, broccoli, and chewy fibrous ones because they’re so tasty and best of all, hearty! It’s almost like the main dish sometimes in my opinion. I think recipes like yours def. allow more people to be adventurous with vegetables. Roasted cauliflower and roasted brussel sprouts are on the agenda of new vegetables for me to try this year. I’ve had them both in different forms before, but I have a feeling roasting them will be much tastier. Can’t wait to try this recipe! I just started reading your blog, and I LOVE all the recipes! This cauliflower looks amazing and simple, I can’t wait to try it. PS…I love how obsessed you are with your pup- I just got my first puppy (a golden retriever), and I can’t stop taking pictures of him! Mmm, I love roasted cauliflower! Another great recipe to add to my arsenal! And I want to eat those pancakes! Yum! Looks good. Now I have to get a milk frother. i’ve been using my aerolatte as well this winter and it totally makes me feel like i’m drinking a starbucks latte at home, minus the extra $4.00! i love it!